Listen to Andrew Bird cover Townes Van Zandt's "If I Needed You"
During his recent North American tour, Andrew Bird and his band showcased some of their collection of "old-time" covers. Fortunately for mega-fans, a lot of those songs will be released later this month. The collection, Hands Of Glory, includes a variety of covers, a new song, and reworkings of songs from Bird's 2012 record, Break It Yourself. Now, Bird has posted a stream of a Townes Van Zandt cover, "If I Needed You," that will be included on the new release. The track was recorded in Bird's barn in Western Illinois. Bird has three more North American shows and an Austin City Limits appearance this month before he heads to Europe in November. 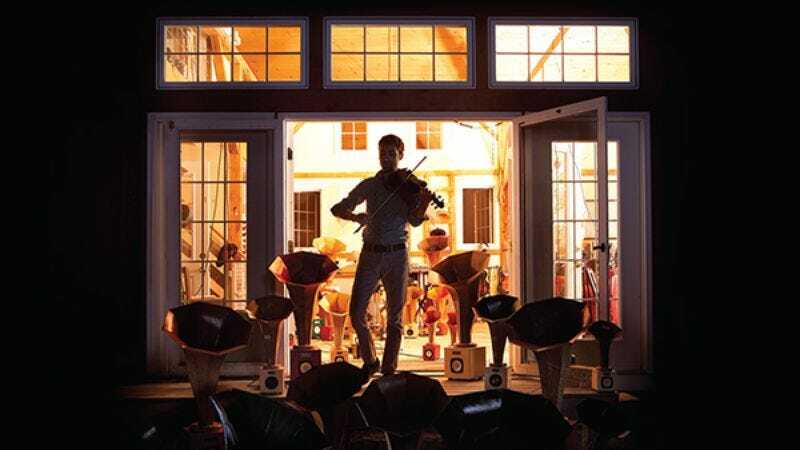 After that, he'll be back with his “Gezelligheid” performances, which consist of Bird playing instrumental violin pieces amplified by specially designed speakers that resemble Victrola horns. The shows will be held in New York, Minneapolis, and Chicago. Dates are below.